For me, the best assignments are shooting at sea or underwater. Recently, Travel Channel sent me to the Yucatan to shoot stories for one of my favorite series, "Top Secret Swimming Holes". On a recent job, I shot with my Canon 5D inside an Ikelite underwater housing, and used Light and Motion's Sola underwater light. 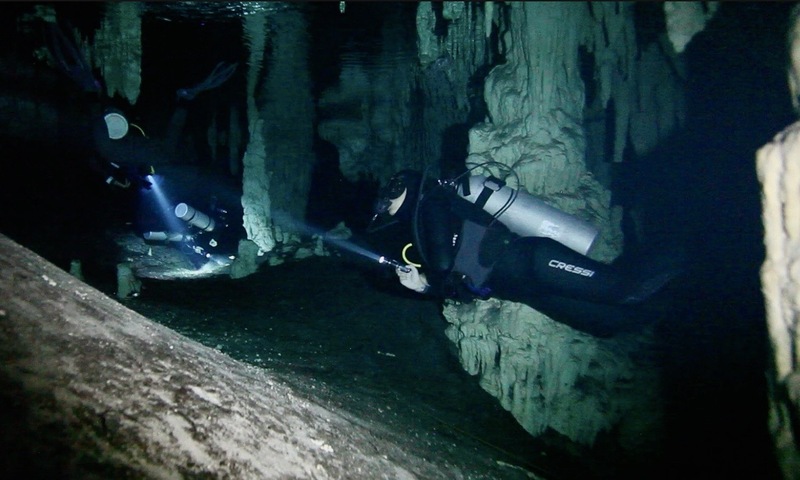 When filming underwater - especially in a cave - there's often no option to ascend and give directions to the talent because you risk crashing into a stalactite or not finding an air pocket in which to discuss your plans. Shooting the cave scenes, I needed all my lighting options available, so instead of locking my lights onto extension arms (which are generally used in deep open ocean), I used Dinkum Systems Clamp-to-Clamp arm. 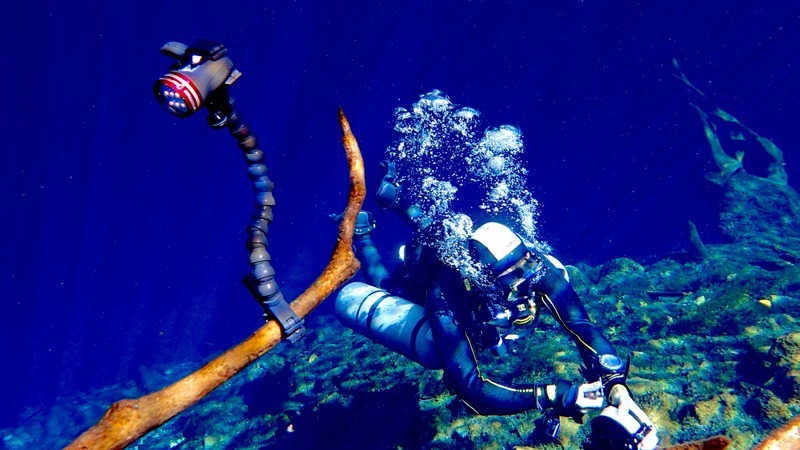 With one clamp attached to the underwater light and one to the Ikelite handle, I could quickly unclamp the video light and give it to the talent to use on-camera as their "dive light" for better quality illumination than the actual dive lights. Likewise, I could remove the whole dive light/ Dinkum-clamp setup and attach the light to a piece of the cave... without Dinkum, how the hell are you supposed to 'mount' a light in a cave anyway?? It's good to have both sizes of ActionPod's with youso you can clamp to different sized pits and features on the cave wall (components to make both of these mounts can also be found in the Video ProPack). Make sure to wash the clamps with fresh water and add some WD40 to keep parts from corrosion... and enjoy the dive!